Applications Now Open for 2017-2018 Fulbright-NIAF-Georgetown Research Lectureship in Education | Ciao Washington! (Washington, D.C. — January 25, 2017) The Fulbright Program in Italy, the National Italian American Foundation (NIAF) and Georgetown University are pleased to announce a new and exciting award for Italian scholars and teachers: the Fulbright-NIAF-Georgetown Research Lectureship in Education. The grant aims to support an Italian elementary/middle school teacher or university lecturer/researcher with research interests in early childhood intervention, teaching methodologies and special needs (Montessori Method) for a 4 to 6 month research lectureship at Georgetown University in Washington, D.C.
“We are extremely proud to be able to offer this new opportunity in such a crucial field as Education and honored to be collaborating with two very prestigious partners. This award is fully in line with the Commission’s long-standing commitment to the training and funding of scholars dealing with Special Needs and especially with young children, and are looking forward to receiving strong applications from both researchers and teachers.” said Paola Sartorio, executive director of the U.S. – Italy Fulbright Commission. More specifically, the selected grantee will teach and conduct research at the Georgetown University Center for Child and Human Development, starting in the fall or spring semester of academic year 2017-2018. “The National Italian American Foundation is proud of its continuing partnership with the U.S. – Italy FulbrightCommission and Georgetown University, two respected institutions which share NIAF’s mission to facilitate exceptional learning opportunities between U.S. and Italian educators,” said Anita Bevacqua McBride, a member of the NIAF Board of Directors and Co-Chair of the Foundation’s Scholarship and Grant Committee. Applications for the 2017-2018 award are now available online at the Fulbright Commission’s website and will close on February 16, 2017. 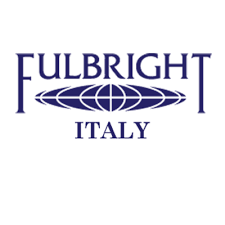 The Fulbright Program in Italy promotes study, research and teaching opportunities in Italy and the United States through a program of scholarships for Italian and U.S. citizens. The National Italian American Foundation (NIAF) is a non-profit organization dedicated to preserving and protecting the Italian American heritage and culture. Based in Washington, D.C., it is the major advocate for nearly 25 million Italian Americans, the nation’s fifth largest ethnic group. To learn more about the Foundation, visit www.niaf.org.